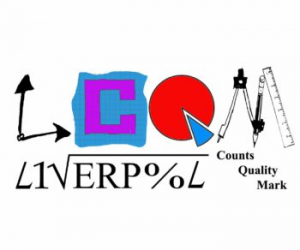 Liverpool Counts is the Liverpool Learning Partnership’s response to the identification of mathematics as an issue facing settings, schools, academies and colleges across all phases in the city. Liverpool Counts is based on the successful model of Liverpool: City of Readers and aims to raise standards in numeracy and mathematics by changing attitudes and perceptions through the delivery of the Liverpool Counts quality mark and the promotion of the importance of numeracy as a life skill through business links and cultural opportunities. Please see the link, below, to access local courses in the Liverpool area to develop your Maths and numeracy skills. The National Careers Service provides information, advice and guidance across England to help you make decisions on learning, training and work. The service offers confidential and impartial advice and is supported by qualified careers advisers. Their website has career tools to help you make decisions about careers, learning and work. You can save your results from these tools in an account. Registration is free and only takes a few minutes. You’ll need to be aged 13 or over to open an account.